+$Bag a major bargain on a Gold or Rose Gold 2017 MacBook. +$B&H Photo has slashed the prices on its 2017 MacBooks. The biggest discounts by far are on the Gold and Rose Gold models – which have been knocked down by $600 and $500 respectively. If you want the Silver or Space Grey, you're looking at $100-$150 off, which is not quite as impressive. +$The Gold version that's on sale is the higher-specced (and thus more expensive) model – it includes a 1.3 GHz Intel Core m5 processor, 8GB RAM and 512BG storage. Right now, the price has dropped by over 1/3, to just under $1000. If you don't need those specs, the Rose Gold version has a less powerful processor, less storage and RAM, but it's new price takes it down to under $800 – total bargain. +$If that's not quite what you're looking for, take a look at our roundup of the+$best MacBook and MacBook Pro deals+$for some more bargains. 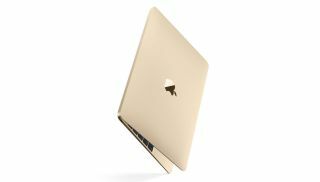 +$Save $600:+$The 12-inch MacBook in Gold comes with a 1.3 GHz Intel Core m5 processor, 8GB RAM and 512GB storage. It'll usually set you back $1,599, but right now you can pick one up from B&H Photo for just under a grand. 节省500美元：+$This Rose Gold MacBook with 1.2GHz Intel Core m3 processor, 8GB RAM and 256GB storage has been knocked down to just under $800, which is a very good deal indeed.